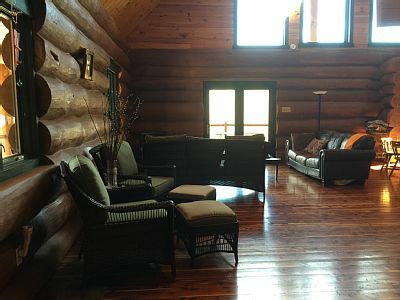 If you&apos;re looking for an ideal vacation getaway that offers a tranquil setting - yet is minutes from Indy, you&apos;ll want to consider heading to Natural Valley Ranch in Brownsburg for a stay in their spacious cabin. Marie and Chuck Damler, owners of Natural Valley Ranch, just added this stunning accommodation to their sprawling, beautiful 78-acre, family-owned horse farm known for its trail rides. The Damlers still have their spacious cottage available to rent on their property as well, so this is an additional and very different way to "rough it" with nature. And to be sure this is no ordinary cabin, the 5,200-square-foot home features six bedrooms and five and a half baths and overlooks a beautiful pond. It truly offers the best of what we all want in a vacation destination. And though you&apos;re away from the crowds and there&apos;s no one to bother you, the cabin is just a few miles from the biggest towns in Hendricks County and just about 20 minutes from downtown Indianapolis. The rates are based on parties with at least 18 guests (a little more for each additional person). But, I can tell you that every time I&apos;ve visited the Ranch, it&apos;s so relaxing that the opportunity to actually live out there for a few days or a week would be ideal. The cabin&apos;s wrap-around deck offers great views including the aforementioned private 3-acre pond stocked with a variety of fish (for catch and release) and an area that includes space to cook a meal over a charcoal grill or enjoy a bonfire. There is a wonderfully-equipped kitchen, TVs in every bedroom and there&apos;s even a whirlpool tub in the master bedroom. It also includes a two-car garage and enough space to park up to 10 vehicles including an RV. 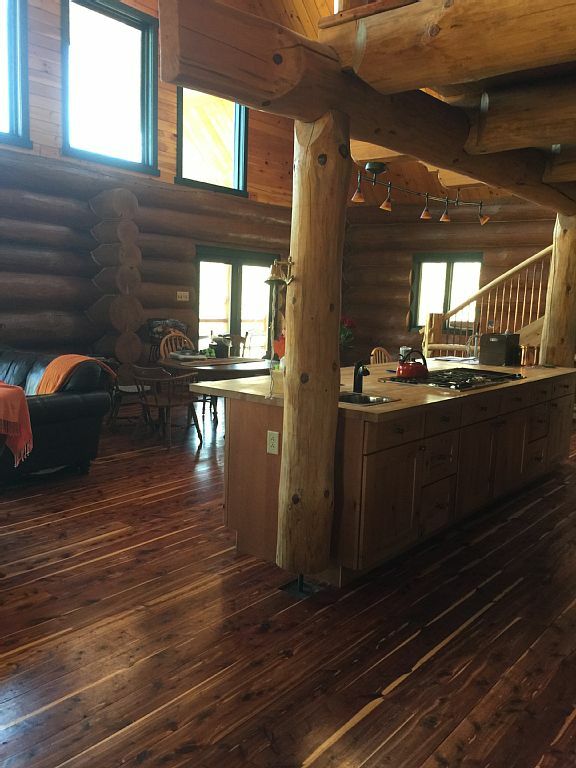 Built in 2011 using Indiana white pine logs, the house provides the perfect accommodations whether you&apos;re hosting a family vacation or a getaway with friends for a special occasion. To see more of this place, you can visit Natural Valley Ranch&apos;s website or if you&apos;d like to check out the rates and availability, click here. 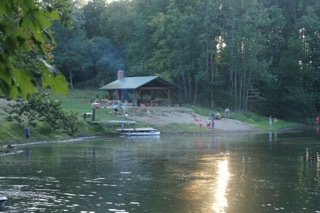 While you&apos;re at the cabin, you&apos;ll also have the opportunity to experience the beauty of the Ranch. They offer trail rides with a stable of beautiful horses. The winding paths are largely undisturbed, and it&apos;s an activity that is great for children and adults of all ages. Even if you&apos;ve never been on a horse, the staff at the Ranch will make you feel safe and right at home. You can even bring your own horses and ride the trails. All around you, there are free range chickens and ducks roaming throughout the property. But, between all of the amenities of the cabin, the lake and the chance to experience both the country and urban settings nearby, you&apos;ll make memories that will last a lifetime.